Using two simulation techniques that weren’t combined before, chemists were able to visualize mysterious chemical reactions, like the splitting of water molecules. There are chemical reactions taking place almost all the time, all around us, and also inside our bodies. For a molecule, if it were sentient, our world would look static. Molecules react with each other at unfathomable rates, at the femtosecond scale (1 femtosecond is one quadrillionth of a second). At such speed rates, even the simplest chemical reactions remain out of the reach of the most advanced conventional computers. Even when supercomputers can peak into the femtosecond scale via computer simulations, predicting the outcome of a reaction rarely turns out to be true. Chemists want to speed up some reactions for industrial purposes by different means, like using novel catalysts or trying new processes. Or, sometimes, they slow them down. One such chemical reaction that interests the industry is water splitting whose mechanisms, until now, remained a mystery. 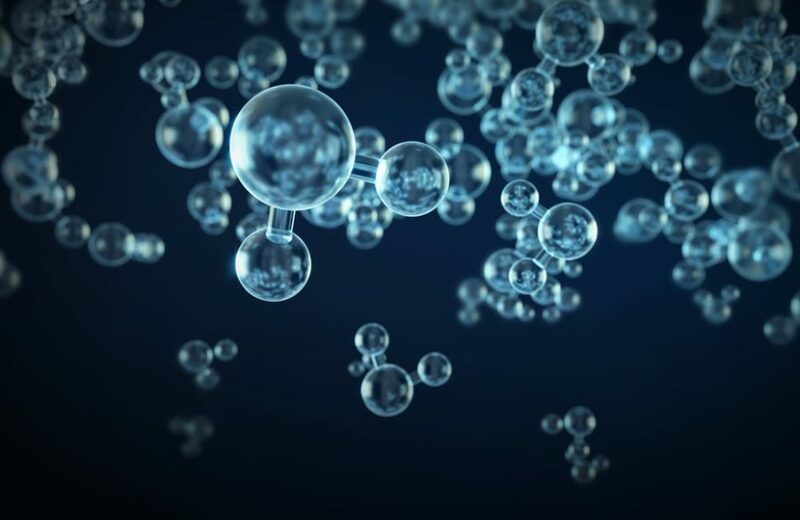 Water molecules, made of one oxygen atom and two hydrogen atoms (H2O), cover 71 percent of the Earth’s surface and make up to 60 percent of the human body. Chemists are more interested in the reverse chemical process that generates water, i.e., water splitting. Water splitting is a thermochemical process for breaking water molecules into hydrogen and oxygen, using very high temperatures. Hydrogen is especially crucial for future applications in the context of the hydrogen economy. But, researchers in their labs pouring over water molecules didn’t know exactly what initiates the splitting in the first place. Now, chemists from the Norwegian University of Science and Technology in Trondheim (NTNU) may have cracked this mystery. The team combined two techniques that weren’t used together before into one Machine Learning simulation method that gave them a close-up of the water-splitting event like never before. After running over 100,000 films simulating the water molecule dissociation process, researchers were able to pinpoint molecular structural irregularities as the triggers of the splitting. “…we identified anomalies in the water structure that act as initiators of the reaction, a finding that suggests paradigms for steering and catalyzing chemical reactions,” said authors of the paper. Theoretically, in the aqueous state, an H2O molecule has around an 11-hour lifespan before it autoionizes and splits into hydrogen and oxygen atoms, though that hardly ever occurs. From a molecular scale (femtosecond), a lot can happen and trigger the splitting in this time window. The NTNU method can be used to investigate the mechanisms of other chemical reactions and understand the intricate bonds of different molecules. Does the mystery surrounding water splitting and its rare occurrence have something to do with its life-supporting property?